Abbey Road was created in 1829 from an existing farm track called Abbey Lane as part of the devel­opment of St John’s Wood. Its name derived from the nearby presence of Kilburn Priory. In the 1840s developers put up tasteful villas in a variety of Gothic-influ­enced styles, many of which survive today. After 1851 slightly less exclusive properties were built on the west side of the locality and the entire area was virtually gapless with a couple of decades. St Mary’s church and St John’s Wood synagogue were built on Abbey Road to serve the area’s two main religious communities. 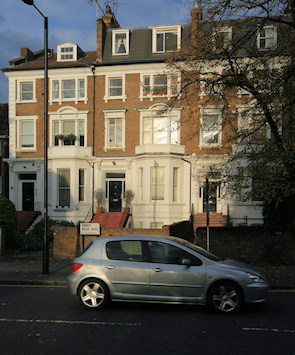 The southern part of the road and its hinterland generally maintained their high social status but towards Kilburn properties were subdivided and some suffered from neglect. Wartime bomb damage exacer­bated the decline and the local and county councils cleared a large area in the north-west and built the high-rise Abbey Road estate in the early 1960s. Later in the decade the Greater London Council built the Ainsworth estate to the east of the road. Following a schism within British Jewry, the New London synagogue was founded in 1964, at first holding services in Lauderdale Road, Maida Vale. All four members of the Beatles attended a memorial service here for their manager Brian Epstein in 1967. The synagogue relocated to Abbey Road in 1970. The Abbey Road ward, which covers the southern part of the street and its neigh­bourhood, has a relat­ively high number of residents aged over 75. Many homes are privately rented and the number of single-parent house­holds is very low. Fifty-five per cent of 16- to 74-year-olds in Abbey Road are qualified to degree level or above. Forty-five per cent of residents are Christian and 16.4 per cent are Jewish. 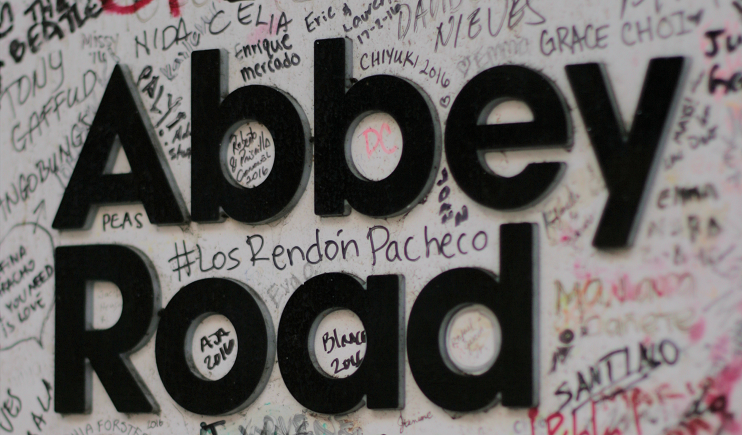 Abbey Road is best known for its recording studios – and for the Beatles’ album that took its name from the address. The album’s iconic cover photograph shows the band members on a zebra crossing in Abbey Road. The crossing has since been relocated. Occasional public events are held at the studios, which are nowadays especially involved with film scores.